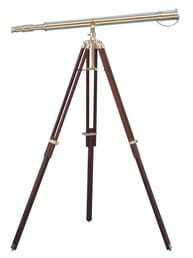 The Hampton Nautical 50” Brass/Wood Telescope is a beautiful brass refractor telescope mounted on a wooden tripod. 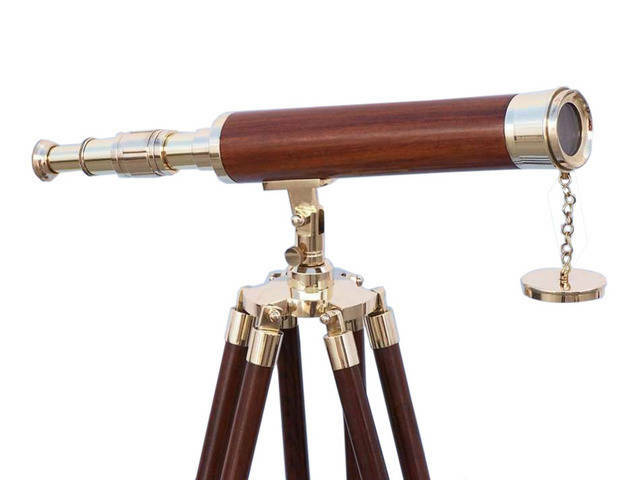 This telescope is a fully functioning nautical masterpiece that adds class and sophistication to any room it’s in. 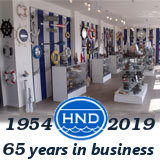 This is a perfect gift for the nautical explorer. 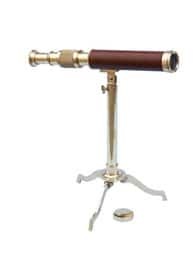 The main scope is solid brass with a smooth polished wood handle. Focusing is accomplished by adjusting the eyepiece ring on the telescope tube, with up to 12x magnification. A removable brass cap, connected by a chain, protects the objective lens.